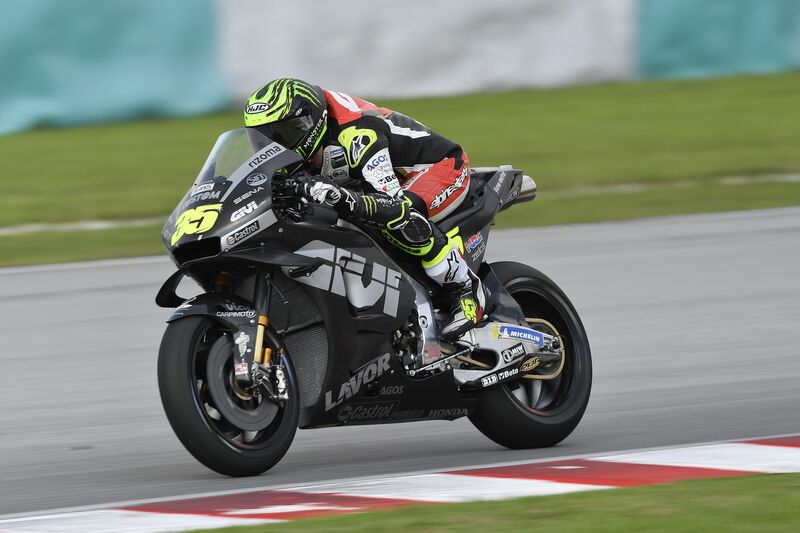 The LCR Honda CASTROL Team and their star rider Cal Crutchlow finally returned to MotoGP track action today, with the first day of pre-season tests at the Sepang International Circuit in Malaysia. The British rider had been enjoying a fantastic 2018 season until he crashed during practice at the Australian Grand Prix in late October. He suffered extensive damage to his right ankle, and after surgery and a winter of rehabilitation, Crutchlow finally threw his leg back over his factory Honda RC213V on Wednesday. With good weather allowing a full day of tests, Crutchlow managed an impressive 51 laps, and in the afternoon was able to get his first taste of Honda’s 2019 factory machine. Testing continues on Thursday and Friday in Malaysia. “I feel good. It’s really nice to be back out there on the motorcycle and working with the LCR Honda Castrol Team and HRC again here in Malaysia. I thought it was going to be a difficult day, but I was honest about how it was feeling. The first laps were so strange, I went round the track thinking I was doing a 2’01, but I was in the 2’08s or something!